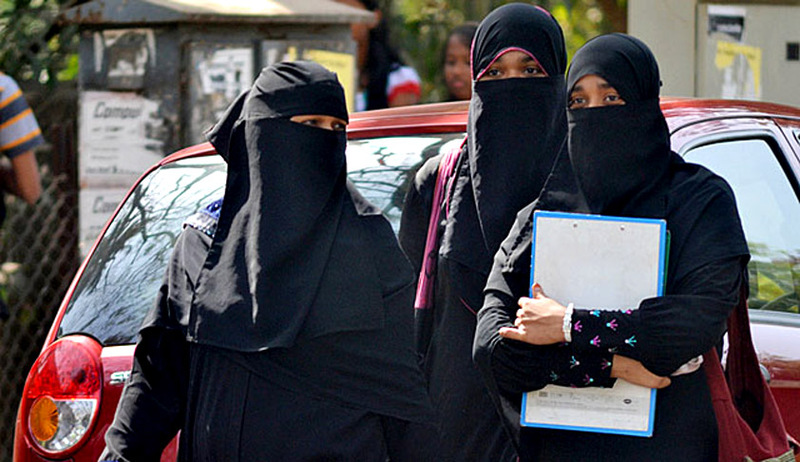 A Single Judge of Kerala High Court allowed two Muslim girl students to wear Hijab and full sleeve dress while appearing for the CBSE All-India Pre-Medical Entrance Test (AIPMT) on 25th July. The Students challenged the new dress code introduced by the CBSC for the AIPMT Examination. Justice K. Vinod Chandran allowed the plea on the conditions that the girls shall be present before a woman invigilator and if required the invigilator can search the body. By the Judgment dated 15th June in Tanvi Sarwal Case, CBSE has been directed by Supreme Court of India to re-conduct the AIPMT Examination. The Writ Petitions were filed by Asiya Abdul Karim from Kozhikode and Nadha Rahim from Palakkad . They had contended that the new dress code will offend their religious practice of wearing Hijab and full sleeves while going out. Disposing the Petitions Justice Vinod Chandran said that “ it was not proper for any authority to deny a woman the right to wear her religious attire. The court also observed that if a particular dress is mandated by a religion, it cannot be insisted that such a dress be avoided for an examination”. Recently US Supreme Court in Equal opportunity Commission v. Abercrombie & Fitch Stores Inc ruled in favour of a Muslim Woman holding that denial of job for wearing headscarf is discriminatory.